Col. E. H. Taylor, Jr. is a name that has been synonymous with quality bourbon for almost 150 years. 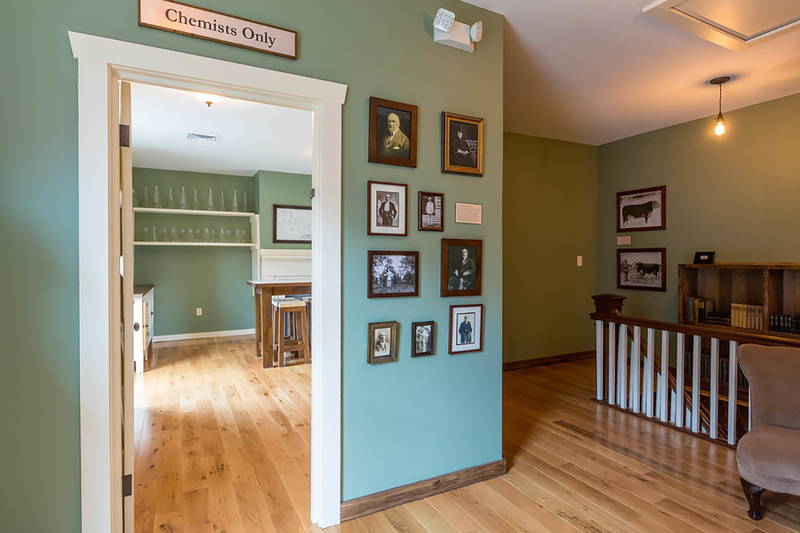 In August, Buffalo Trace debuted a new tour showcasing three sites on the distillery property which explore Taylor’s legacy. This includes the newly-discovered and restored building dubbed, “Bourbon Pompeii”. During demolition for a remodeling project last year, construction employees broke through a cement floor. Once the dust settled, they discovered previously unknown ruins of Taylor’s original O.F.C. distillery. O.F.C. stands for Old Fire Copper—the use of copper was an important quality element for Taylor, because continuous contact with it strips sulfur out of the whiskey. Immediately upon discovery, Buffalo Trace halted renovation and hired archaeologist Nick Laracuente to oversee an excavation. 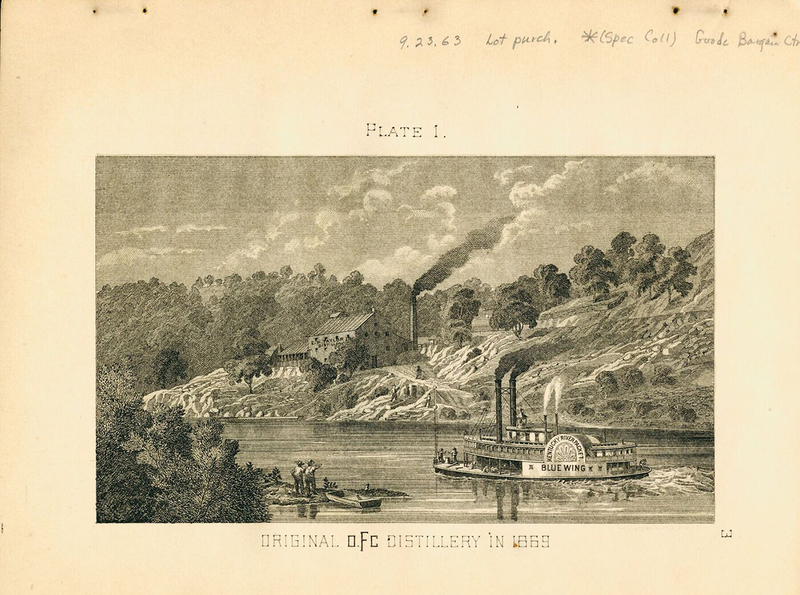 Laracuente quickly realized the significance of the find to Kentucky bourbon’s history. It was the most well-preserved distillery structure dating back to the mid-1800s. As details emerged, bringing to light the value of preserving the once-lost architectural structures, Buffalo Trace abandoned their initial plans for the building. Instead, they chose to focus on the potential of opening it as a visitor experience for both bourbon buffs and history enthusiasts alike. The distillery even hired a local video production company, Joanna Hay Productions, to document the excavation—a fortuitous move, as it turned out. Initially, Laracuente struggled to identify the specifics of the building being uncovered and the exact dates of the original construction. Referencing lithographs and other documentation from the era helped, as did the discovery of a stone with an engraved date. But then, the video production company produced a new lithograph from their archive which showed the fermenting vats with clearly visible numbers. This layout showed exactly where to dig. As he uncovered the layers, Laracuente realized that there wasn’t one distillery under the cement, but three—all versions of O.F.C. which Taylor had built and rebuilt over several decades. As history clarified before their eyes, Joanna Hay’s team realized that they had a complex story to tell; one that needed visual aids to communicate fully the significance of the distillery and the perspective on history that it offered. 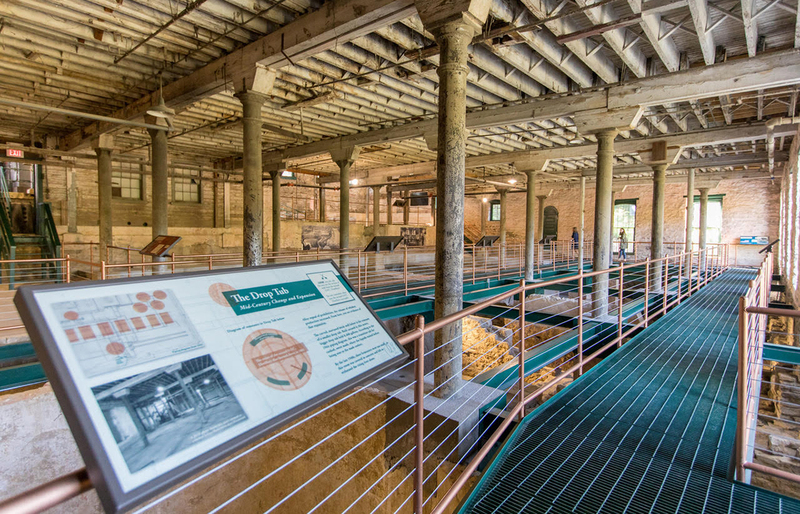 Buffalo Trace commissioned the production company to produce signage and two videos to bring the ruins to life. Using a combination of footage from the excavation, historical documents and lithographs, the videos capture Taylor’s personality as much as his legacy. In a not-quite coincidence, bringing the history full-circle, Hay’s husband and professional narrator, E. H. Taylor Hay, Jr., the great-great grandson of Col. Taylor himself, narrates the videos. Carefully designed and positioned signs line up precisely to tell guests what they are viewing throughout the facility. Paired with architectural markers, these visuals provide a perfect overlay, allowing guests to appreciate the features captured in the historical documents—now visible once again. The Old Fire Copper Distillery is as much an exhibit hall as it is an architectural wonder, with relics from the last 150 years collected and annotated, including an original Taylor whiskey barrel from 1899, tools of the early whiskey tradesmen and – as one would expect from the name – plenty of copper. In addition to the O.F.C. Distillery ruins, the Taylor tour includes both the Old Taylor House and Warehouse C. The Taylor House is the oldest house in the county. Built by Commodore Richard Taylor, E. H. Taylor’s great-grandfather, the public has never previously had access. Warehouse C is a rickhouse built by Col. Taylor in 1884 and is currently used to mature barrels for the entire whiskey collection that bears his name. Currently, the Taylor Tour is limited to 15 guests and is offered at 2:30 pm on weekdays by reservation only.